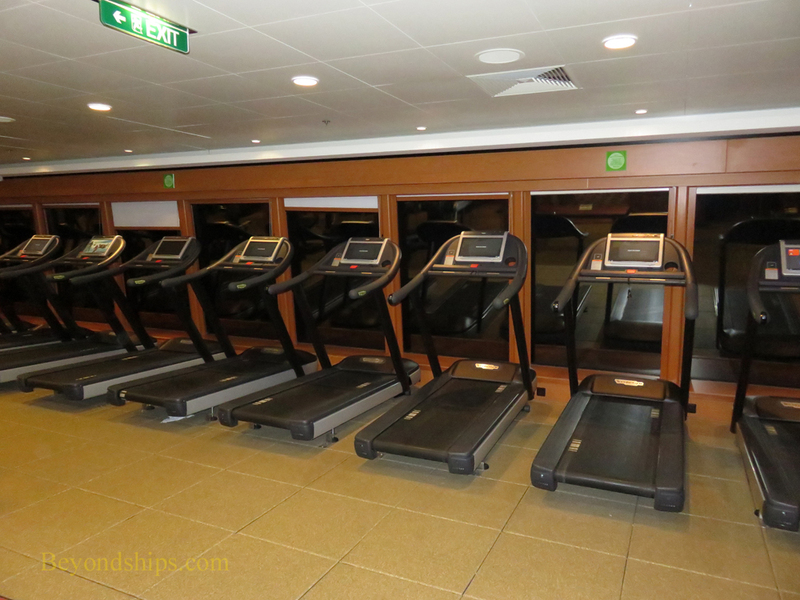 Spa & Fitness Center. 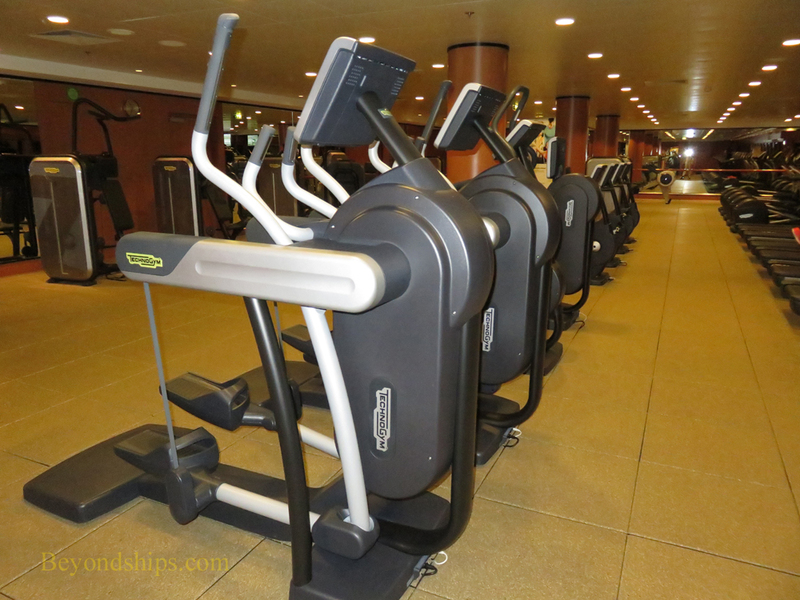 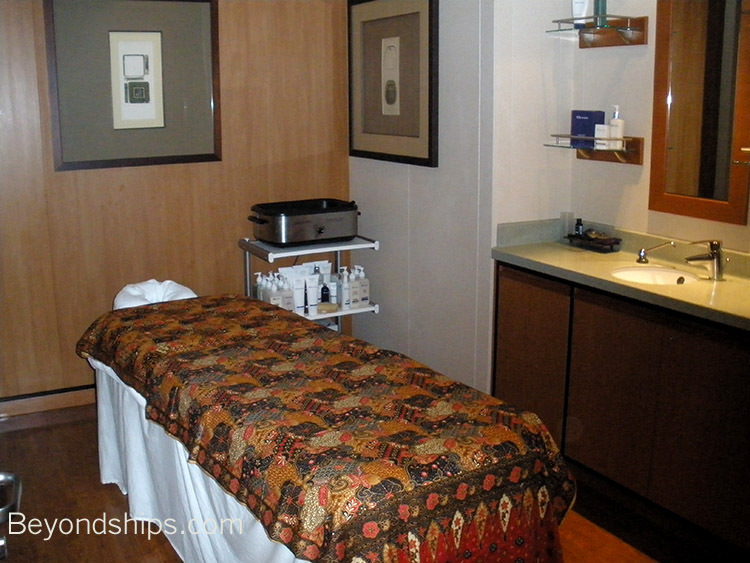 It includes the spa, the fitness center and the salon. 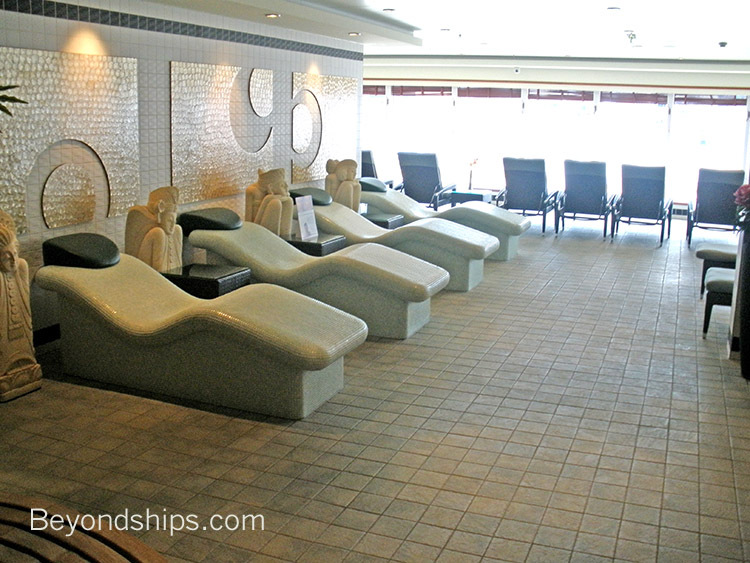 There is a spa menu from one cruise on our daily programs page. 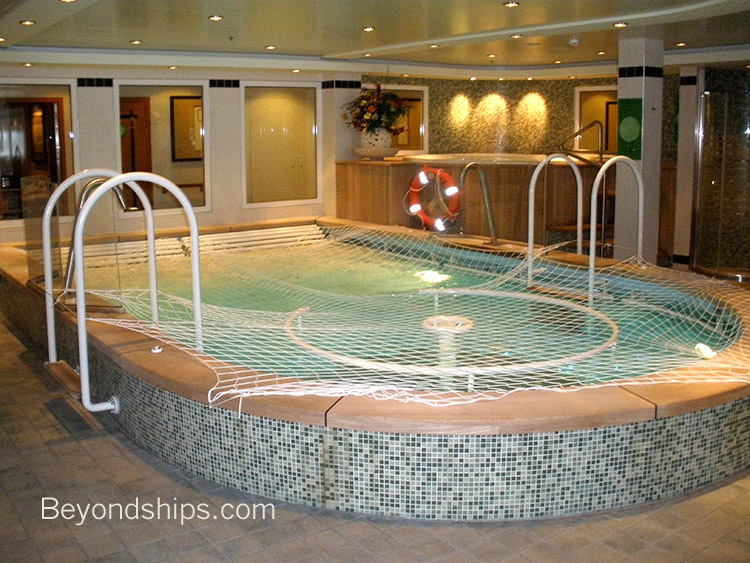 The Spa is dominated by a thalassotherapy pool (above). 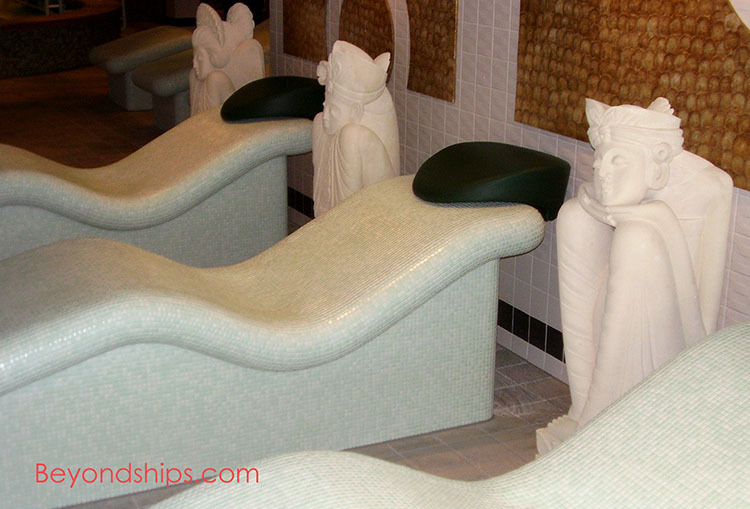 There are also whirlpools (below left) and a series of thermal chairs (below right). 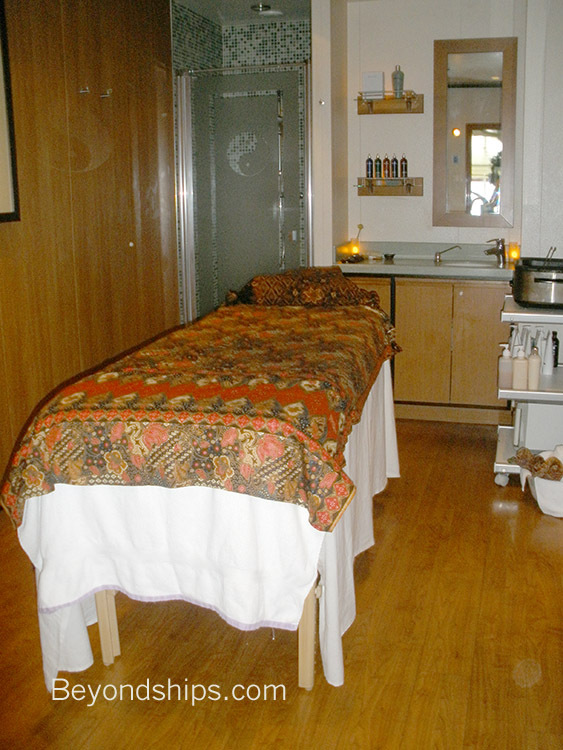 There are 18 treatment rooms including three for couples offering a variety of massages and other treatments. 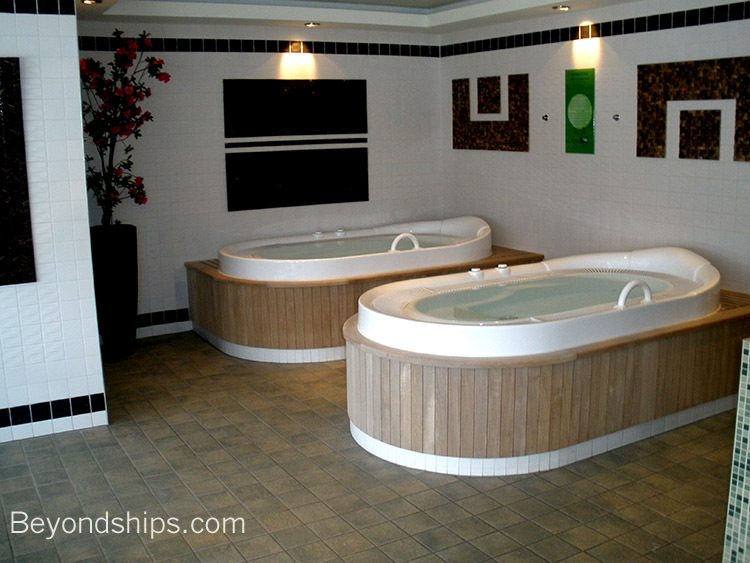 The changing rooms also house steam rooms and hot tub. 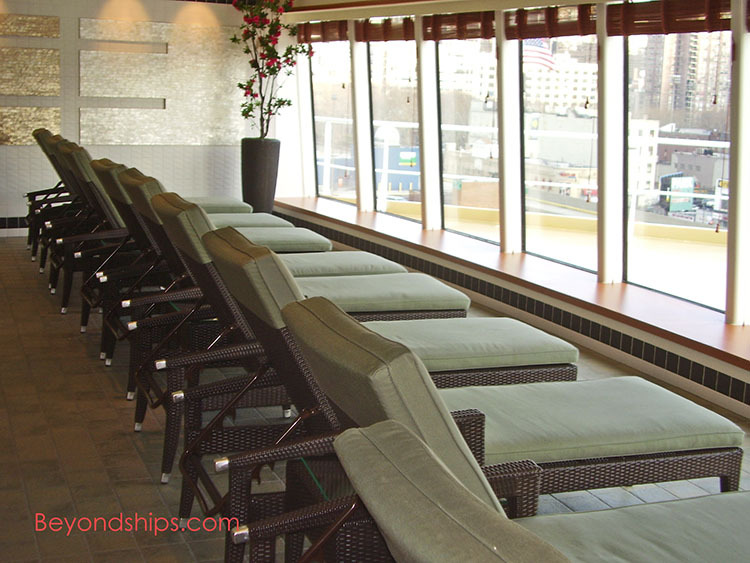 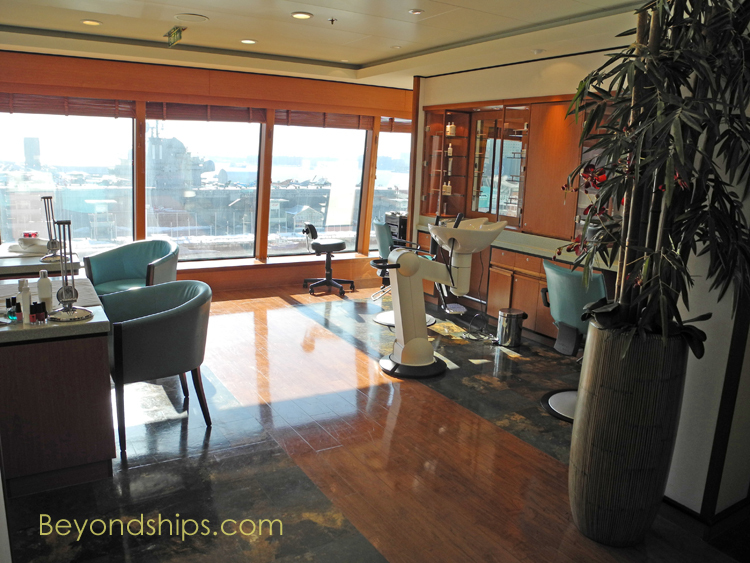 There are also loungers for relaxing and looking over the ship's bow. 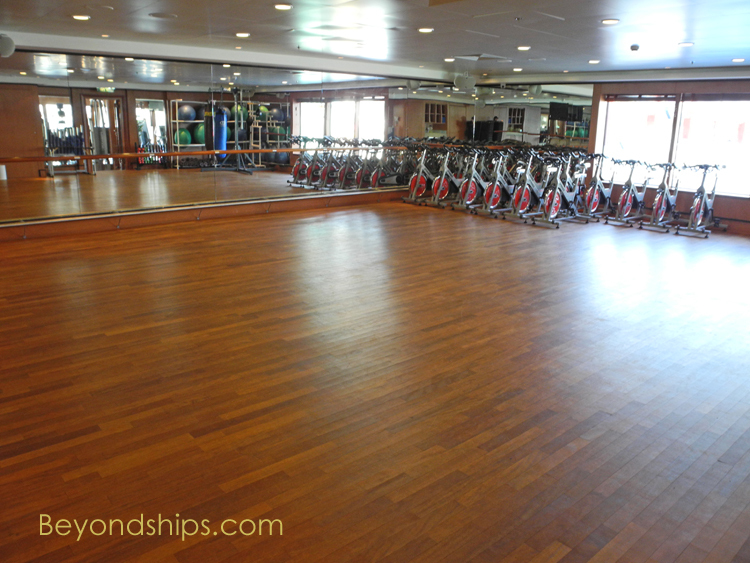 an area for aerobics and various other types of exercise classes including kick boxing. 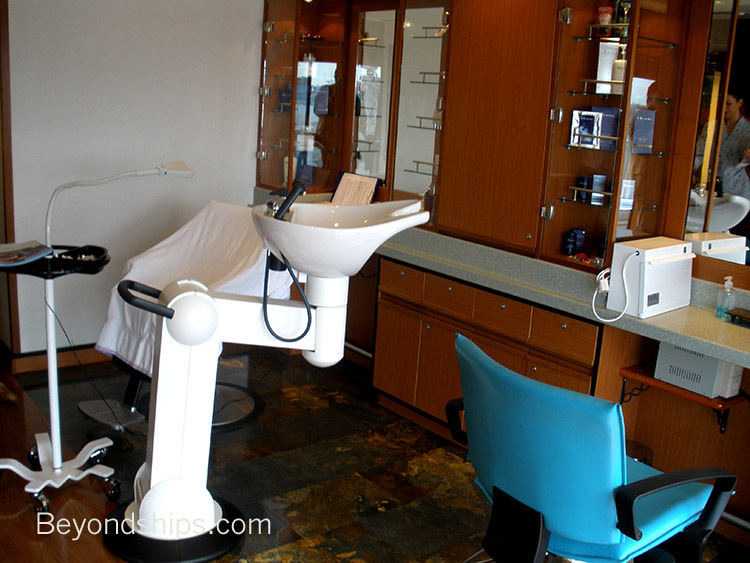 The Salon offers hair and pampering treatments for men and women.